Most public utilities engage in some form of planning, although the extent and scope of planning vary greatly. Utility planning can be characterized by four general approaches: traditional supply planning, least-cost utility planning, integrated resource planning, and total water management. Each iteration retains the tried-and-true methods of the preceding approach while expanding the scope of the planning horizon to include new issues and potential solutions. Traditional planning for water utilities is not that different from traditional planning by electricity utilities, which can be characterized by its focus on utility ownership and control of all production resources (including centralstation power plants), its reliance on system and financial planning processes internal to the utility, and its emphasis on the goals of minimizing electricity prices and maintaining a high level of system reliability. Risk avoidance also appears to be a paramount consideration in traditional utility planning. In the case of water, ownership and control of resources is more constrained (for example, by limits to groundwater withdrawals). However, the emphasis on utility ownership of the water delivery infrastructure (plants, pipes, and so on) prevails much like the case of electricity distribution. Three principal concerns about the traditional approach have been advanced. First, forecast demand is taken as a given, and virtually no attempt is made to integrate supply management and demand management options. Traditional supply-planning activities have tended to focus on providing new sources of supply to meet future water demands. 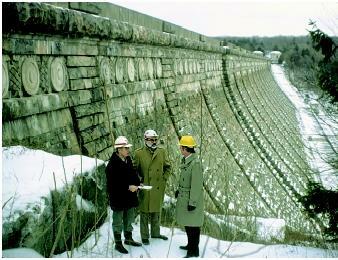 Dam-building has been an important component of traditional water-supply planning, and civil engineers have played a major role in the construction and maintenance of the world's dams. Second, the public-at-large, outside experts, and government regulators generally have little or no involvement in traditional utility planning. Demand analysis and the assessment of supply alternatives takes place within the utility (or a single planning unit within the utility); only the final product is made available for review or regulatory approval. Often, major investment decisions are made with little or no oversight. Third, traditional planning also tends to be confined to individual utilities in virtual isolation. The decision-making process excludes parties who not only have a vested interest but also unique insights about resource options. In sum, there is a tendency for traditional planning to be narrowly focused and exclusionary. Once a utility has committed itself to a plan, little room is left for altering the chosen course. Like other types of public utilities, the prevailing planning processes undertaken by water utilities have been internally driven and dominated by supply considerations. The result has been an emphasis on maintaining reliable water supplies and, accordingly, the engineering of facilities for source development, treatment and storage, and transmission and distribution of water. Water-supply planning generally takes the form of forecasting future demand and developing and analyzing supply options to meet the projected demand level, plus a comfortable margin. The result is a disaggregated planning approach focusing only on new supply alternatives, while initiatives in the areas of demand management and conservation are consigned to separate programs. Moreover, conservation effects often are not reflected in revised demand and revenue forecasts. Engineering considerations have always been central to water utility planning, at times to the exclusion of other perspectives. Engineering does take into account the benefits and costs of supply projects. If water planners do not carefully consider current and future water needs for a given area, expansion of local and regional economies may outpace available water supplies; conversely, available water supplies could end up far exceeding local demands. 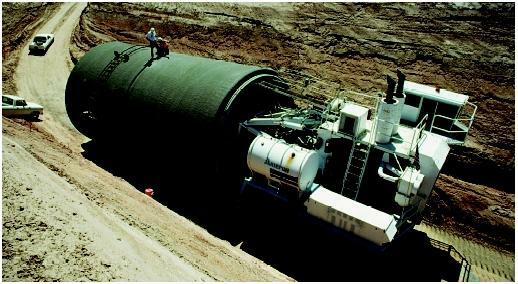 Here a large water-supply pipe is en route to a construction site in the Colorado River Basin. However, the emphasis on supply options can result in additions to capacity that outpace growth in demand, which is a problem familiar to the electricity industry. Water's natural abundance in many areas may explain why the central water supply issue is that of engineering water delivery (getting water to where it is needed) rather than managing water demand. Historically, it was easy to presume that there always would be enough water to go around and that plentiful amounts would generally be so inexpensive that investments in demand management would not be cost-effective. The utility corporate culture, which understandably emphasizes selling more (not less) product, might also favor the supply side. At the very least, utilities traditionally have had little incentive to promote conservation. The shortcomings of traditional planning, along with significant external economic and political forces, gave rise to the current interest in least-cost planning, or integrated resource planning (IRP). Least-cost planning emerged in the context of the energy industries during the 1980s as a response to rising costs, a poor record of forecasting, and growing concerns about environmental externalities . According to its proponents, planning allows regulators to be more proactive, that is, to actively affect utility decisions rather than simply react to them later on. Least-cost planning emphasizes a balanced consideration of supply management and demand management options in identifying feasible least-cost alternatives for meeting future water needs. Compared with traditional planning, least-cost planning recognizes that water demand is malleable and that forecast demand does not have to simply be taken as a given in the planning process. Which Cost Should Be Least? Different definitions emphasize the minimization of rates, customer bills, utility revenue requirements, and production (both capacity and operating) costs. The variety of available perspectives leaves open the question of whose costs are supposed to be least: existing customers, future customers, utility shareholders, or society at large. Another unfortunate implication of the concept of least cost is that it suggests a single, optimal solution. Regulators and utility managers do not necessarily have identical views about the meaning of least-cost planning. According to one survey, "regulators tend to view least-cost planning with an emphasis on conservation, whereas utilities tend to regard least-cost planning as an integrated supply-and-demand analysis." Least-cost planning has come to be understood as the comprehensive evaluation of all supply and demand alternatives with the end result, in an attempt to minimize costs, of creating a flexible plan allowing for uncertainty and a changing economic environment. Cost minimization, resource diversity, risk management, and flexibility are the hallmarks of least-cost planning. In practical terms, least-cost planning can be characterized by the consideration of a diverse set of resource options (including conservation, load management , pricing, and purchases from other producers); coordination among several departments within the utility; and the use of multiple resource selection goals, including those that address prices, costs, revenue requirements, utility financial condition, risk reduction, technological diversity, environmental quality, and economic development. Least-cost planning in no way abandons sound engineering practices, but it does place them in a wider context. It follows that least-cost planning can facilitate regulatory review of supply management and demand management practices and regulatory approval of capacity expansion projects prior to construction. Least-cost planning also can be used to educate policymakers about the critical issues in utility supply decisions and induce utilities to aggressively engage in long-term strategic planning. Least-cost planning can focus on a particular utility or take the form of a statewide assessment of all utilities in a given utility sector, the latter of which is typically performed by a state resource management agency. In contrast to traditional supply planning, leastcost planning gives much weight to the distinction between demand management and supply management activities, both of which can be used to achieve reliability goals. Least-cost planning recognizes that demand is malleable rather than simply a fixed input to planning models. The demand side involves any strategy to eliminate or defer the need for an investment in new capacity by the utility, including load management, conservation, and pricing strategies. The supply side involves determining the most efficient method of meeting growing demand, including investments in new capacity. All demand management activities that decrease the demand for utility services tend to affect supply management since existing system capacity is released for other customers and other uses. That is, the freed or redirected utility capacity can be compared to that provided by more traditional means. Thus emerged the concept of "negawatts," meaning electricity "produced" through conservation and efficient use of existing electricity supply resources. As water management has advanced into integrated resource planning, many stakeholders now participate in water planning activities. Their presence has resulted in the representation of increasingly diverse views and more participatory decision-making processes. A related idea is the trend to establish energy service companies, as compared with traditional electric utilities, who could market efficiency (or demand management) as well as electrical power. Least-cost utility and planning is complicated by the lack of familiarly with demand management, barriers to coordination with nearby utilities, the use of broad definitions of costs (such as those associated with externalities), and the inclusion of goals (such as resource protection) not directly attributable to the utility. Traditional planners tend to view least-cost planning as more risky, as least in terms of supply reliability. Advocates of least-cost planning would counter that planning actually reduces some forms of risk, such as the revenue recovery risk associated with excess capacity. While highly pertinent to the debate, these disagreements can be overcome. One issue that merits especially careful attention, however, is that of the cost of planning itself. Certainly, the benefits of planning should outweigh the costs. This calculation itself poses a rational decision-making problem. The benefits of increased awareness and understanding and reduced ignorance and uncertainty can be substantial but are not easily quantified. Integrated resource planning is a somewhat more encompassing term than least-cost utility planning, although the two are consistent and can be used interchangeably for many analytical purposes. In fact, the term "least-cost integrated resource planning" sometimes is used. The concept of integrated planning evolved in part to address the potential misconceptions and complexities arising from use of the term "least cost" as well as any unjustified bias against supply-side solutions. Integrated resource planning encompasses the concept of least-cost planning, which emphasizes balancing supply and demand management considerations and identifying feasible planning alternatives that meet the test of least cost without unduly sacrificing other policy goals. Integrated resource planning is a more comprehensive evaluation system that goes further to emphasize the construction of various planning scenarios in which key variables and assumptions can be altered. These scenarios can be used to help utilities incorporate uncertainties, environmental externalities, and community needs into decision-making. Integrated resource planning also emphasizes the importance of establishing a more open and participatory decision-making process and coordinating the many water institutions that govern water resources. Thus, IRP encourages the development of new institutional roles in addition to new analytical tools. 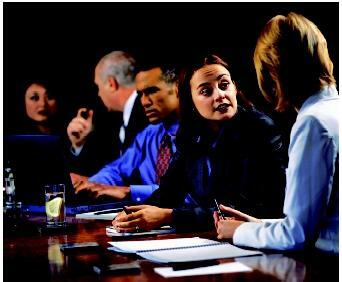 It also promotes consensus building and alternative dispute resolution over conflict and litigation. Importantly, planning does not preclude the development and use of markets or market-like mechanisms (such as competitive bidding), which in fact may be essential for the purpose of identifying least-cost opportunities. Like least-cost planning, IRP explicitly recognizes that demand management can be a cost-effective and viable resource option. In a somewhat broadened sense, IRP recognizes that demand management can help achieve multiple policy goals (such as cost control and pollution prevention). Advocates of IRP have long argued that better planning methods are needed to account for environmental and social externalities associated with expanding utility capacity. More recently, analysts have recognized that IRP can help utilities deal with uncertainties and risks as well. The generalized concept of IRP also can be used to address short- and long-term community needs that span from environmental protection to economic development. Prescreening resource options and the construction of alternative planning scenarios can be used to evaluate the implications of a given resource mix on the utility, the environment, and the community. In addition to integrating resource options, IRP also seeks integration along temporal (short- and long-term) and spatial (local and regional) dimensions. Integrated resource planning clearly entails new roles and responsibilities for water-supply utilities. Integration means that environmental, engineering, public health, financial, rate-making, social, and economic considerations all feed into the planning process. Planning data and information are linked internally to the other management activities of the water utility (physical facilities management, financial management, environmental management, research and development, economic development, and public involvement). Integrated planning also links water utility planning with external planning processes (planning by other water, wastewater, and energy utilities; local and regional planning; river basin planning; and statewide, interstate, and federal water planning and policy). Some of these relationships are formal (as in permit processes involving state water resource or drinking-water regulators), while others are less so (as in the use of regional water planning data by the utility to develop forecasts). For the water sector, a particularly important issue is the relationship of water utility planning to the activities of various government agencies whose policies may constrain utility planning choices. Clearly, better coordination mechanisms could be established among the three or more state agencies that regulate water systems from the public health, natural resource, and economic perspectives. If IRP does nothing else but facilitate coordination and improvement in the institutional structures governing water resources, it will be worth the effort. In the 1990s, total water management emerged as a potentially salient concept for water and wastewater utilities. Total water management reflects the philosophy that water resources should be managed for the greatest good of people and the environment with opportunities for participation in water policy by all segments of society. While not strictly a planning model, total water management seems to encompass the basic principles of IRP. It also has considerable symbolic connotations. According to a white paper by the American Water Works Association, "Total water management recognizes the paradigm shift from considering water available in unlimited quantities to understanding water supply as a limited resource." Total water management seeks to inspire the water industry to embrace such ideas as sustainability, stewardship, unified water resource policies, watershed and ecosystem management, water conservation, and the importance of public and political support for water management decisions. Total water management recognizes that water resources are a part of numerous complex systems, both natural and social. Advocates of integrates resources planning (encompassing, for example, water, energy, and land-use planning) make a similar point. These perspectives present numerous intellectual, analytical, and evaluative challenges. The term "total water management" and its manifestations are more normative and prescriptive than the seemingly value-neutral realm of rational analysis. The explicit consideration of values in planning can be uncomfortable, particularly for members of the many science-based disciplines involved in water resource issues. But in making policy choices, trade-offs among competing values are inevitable. A paradigm that allows for a dialogue about how to make these trade-offs should be welcomed by the water industry. The practice of planning requires attention to the potential barriers to success. Three key areas of concern are (1) access to analytical tools and adequate information, (2) the level of commitment of utilities and regulators to considering and pursuing new options, and (3) the consistency of approaches and methods within the real-world context of existing utility and regulatory practices. If these issues are relevant to least-cost planning for energy utilities, they are as much or more applicable to the case of water. For water systems, information resources vary substantially, and the need to develop data processing and analytical capabilities is clear. Attention should be paid to the design and implementation of planning strategies that minimize the effects of inadequate information. The second barrier involves the attitudes and dispositions of those involved in resource planning. In part, success in IRP will depend on whether the prevailing corporate culture accepts conservation and related concepts as legitimate utility goals. Finally, successful IRP requires good practice as well as good theory. Water utility managers need practical methods for dealing with new forms of uncertainty, such as the revenue uncertainty associated with conservation. SEE ALSO Conservation, Water ; Demand Management ; Drought Management ; Ethics and Professionalism ; Floodplain Management ; Hydrologic Cycle ; Infrastructure, Water-Supply ; Integrated Water Resources Management ; Markets, Water ; Planning and Management, History of Water Resources ; Pricing, Water ; River Basin Planning ; Utility Management . Dzurik, Andrew. Water Resources Planning, 2nd ed. Savage, MD: Rowman & Littlefield Publishers, Inc., 1990. Reisner, Marc. Cadillac Desert: The American West and Its Disappearing Water, Rev. ed. New York: Penguin, 1993. Viessman Jr., Warren, and Mark J. Hammer. Water Supply and Pollution Control. Menlo Park, CA: Addison Wesley Longman, Inc., 1998. "White Paper on Total Water Management." American Water Works Association. <http://www.awwa.org/Advocacy/govtaff/totwapap.cfm> . A paradigm is a prevailing philosophical, theoretical, and analytical framework that guides how a discipline or area of inquiry is defined, explored, and modeled over time. Paradigms shape how academicians generalize, investigate, and experiment as well as how practitioners and policymakers interpret and understand the world around them. Disagreement and controversy can arise over the existence, application, or change of paradigm. A paradigm shift, or the emergence of a new paradigm, represents a fundamental change in thinking and occurs relatively infrequently. In the water sector, an example is the shift from a focus on supply management to integrated resource planning that recognizes the joint relevance of supply and demand management.